I can’t understand why I didn’t think of this idea myself, because to be quite honest password manager apps are pure genius and 1Password is an amazing Password manager app that I’ve used and reviewed extensively. In a world of constant digital connectedness, I want to recommend that you download 1password. This is a password manager app that I’ve been using for the past month or so, and I’ve also written a blog post about this amazing and ingenious technology. Before I got my Android phone I would normally keep all of my online user ID’s and passwords in notepad, or the notes app on my iPhone. I would also mistakenly make my passwords the same so I wouldn’t forget them, but this has always been a very bad practice because if someone ever gains access to any of your devices and your passwords are the same, they would be able to access any of your other accounts with ease. Think accounts like your banking account, Paypal, ebay, Amazon, etc. Hackers–people who maliciously try and gain unauthorized access to computer systems that don’t belong to them–have very sophisticated ways of gaining access to one key piece of information and stringing that together to uncover more information about you to do more damage. Some of the smartest cyber criminals and hackers spend their days finding ways to gain access to websites and computer systems, why? Because it pays and many of them do make a living off of cyber crime. One of the reasons the notes app as I mentioned before was convenient for iPhone was because of the ability to auto-sync the data in notes between all devices. As someone that works in IT and also someone that uses their machines extensively, I rely very heavily on my computers and like most busy professionals, I have a lot to access and a lot I need to track and organize. So when I update a note on the note app it automatically syncs with my laptop, my desktop, and every other device I that I use. Its convenient and it works wonders for me because I am always in and out of apps bouncing around from site to site, multi-tasking, you name it I’m doing it online. While this is convenient this is also insecure. If someone happens to guess the numeric code to my phone they could easily access the note app and have a field day with my data. One benefit to the iPhone is the use of TouchID, which I absolutely love because of the speed and convenience. Most if not all of the apps on my iPhone have “Touch ID” enabled, which calls for your unique finger print in order to use the app. The note app itself for iPhone does not have any security around it so you have to rely on your pin number or Touch ID that you use to log into your phone to keep your data safe. But as I digress this is one of the reasons why hackers are able to easily hack into websites and online accounts–easy passwords, simple passwords, and passwords that lack complexity. 1) You probably have over 30 different places where you need unique usernames and passwords. I have well over 40 accounts from banking, to my website, to the 5 email accounts I have. 2) You obviously can’t remember all of those unique passwords and usernames–don’t worry, neither can I. 3) You probably have them written down somewhere where they can be compromised–BAD. 4) It’s almost impossible and cumbersome to generate the MAXIMUM password length and mixture of characters needed to make your accounts secure. This is where 1Password comes in. I’m telling you all of this because I sat in a workshop with my Chief Information Security Officer and he spoke at length about the threats of identify theft and online intrusion. I lost my mother to an unexpected death in 2015 and before she died someone compromised her bank accounts and siphoned off funds in small amounts over a matter of weeks undetected. Having to maintain all of those accounts by memory was a challenge for her and she couldn’t keep up with all of the logins and the security and maintenance behind it all. With the 1Password app–and one of the reasons why I speak so highly of it– is that not only can you store all of your usernames and passwords in one place, but the app will also store information for over 20 different items that may be hard for you to remember such as Credit Card numbers, Passport numbers, Drivers license numbers, wireless network SSID’s, etc. It will also auto generate the passwords for you with the maximum allowable characters and allow you to rotate those passwords as you see fit and make them complex. The app also has the ability to automatically log you in to websites you visit, that allow it with a plug-in on Google Chrome. You can also open the 1Password app and do a one-touch login directly from the app on your computer. Mobile isn’t as straight forward as you have to perform a copy function of any of the credentials in the 1Password app, and then paste wherever you need to login on your phone as you can see below. Now consider this, the passwords and all of your information is stored behind an encrypted app on your mobile device or on your laptop. I use a Windows machine and a Macbook Pro and it all works the same no matter the platform. So just like the notes app I mentioned previously in this post, it also syncs all of your data to all of your devices so you will always have all of your passwords, usernames and other data no matter which device you’re on. On my iPhone wherever touch ID is not enabled and I need to login using the actual username and password, all I do is just back out of the app that I am trying to login to, open the 1Password app, go to the account I need, copy the Password, back out of 1Password and go back to the app I’m trying to login to, paste, and I’m in! The setup process is somewhat sophisticated, but for very good measure. 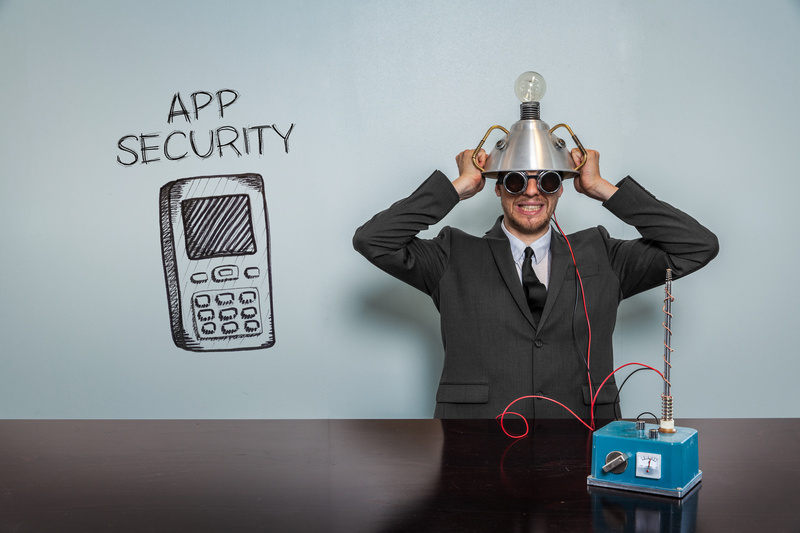 It ensures that your vault can only be accessed by you and the company takes very specific and stringent steps to make sure that your security is maintained throughout the lifetime use of the app. To be clear, ALL of your credentials are located in this one app so we want to be certain that no can access it. The one-time password that you will use to access your vault should be stored somewhere where only you can have access. I would recommend writing it down on a piece of paper and perhaps locking it in a physical vault that you maintain at your home. 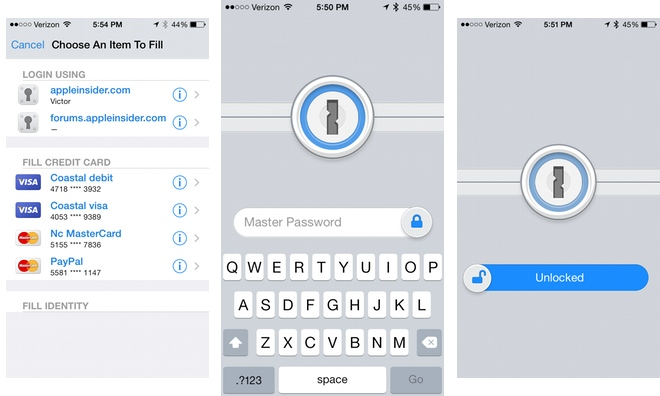 If you ever forget this password 1Password may not be able to help you reset it. If you do forget the vaults password and can’t remember certain pieces of information to restore your access, 1Password will most likely make you delete all of the contents in your vault and start over from scratch which could be cumbersome. You will often here IT and Cyber Security professionals warn against the dangers of using public wi-fi. I personally don’t sit at coffee shops often but if you ever do sit down at a coffee shop to use your laptop having a complex password is important, but more important than that is the use of a VPN client. A VPN client secures your internet connection between your laptop and your outgoing connection to the Internet. Some argue that may or may not help prevent you from getting hacked, which is a true statement. There are software and hardware components that are available to be purchased online where people can sit outside or even inside a coffee shop and with certain kinds of “packet sniffing” software, they can capture any data that you pass through the local wireless network. Ok, I know this is a long post but I had to share it with you! I’m due for the iPhone X in December and I’m all about security especially since I have a son that is now very active on the Internet. Read more on protecting your online security below.